There is a slight risk of a few severe storms this afternoon/evening across parts of north central Texas. The main threats will be from very large hail and damaging winds. 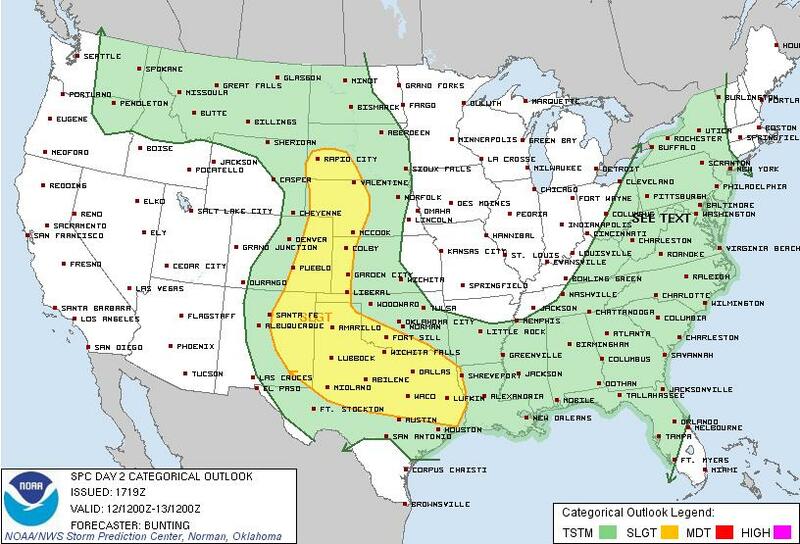 Tuesday there will also be a slight risk of severe storms across much of the northern half of Texas. Main threats will be from large hail, damaging winds and isolated tornadoes will be possible.